The Spice and Tea Exchange of Evanston has more than 140 spices in stock, with 70 blends mixed in-house, and over 30 loose-leaf teas. The shop opened last week in the heart of downtown Evanston. A new spice and tea shop opened its doors May 15 with the intention of becoming Evanston’s “go-to place for the ambitious home cooks,” co-owner Dan Barton said. The Spice & Tea Exchange, 1615 Sherman Ave., is the first store of the franchise to open in Illinois. 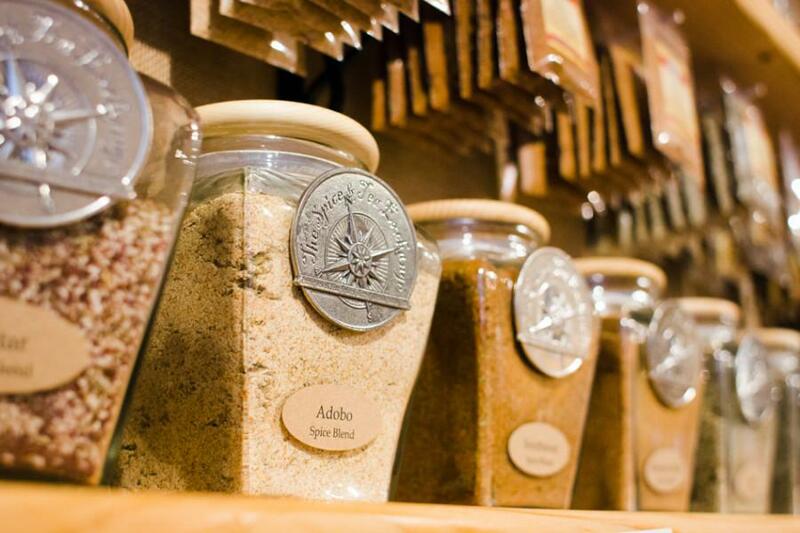 Barton said the heart of the establishment is its collection of 70 original spice blends mixed in the store. Although the shop’s regular customers will likely be amateur chefs with money to spend on high-end spices, the owners are also looking to build connections with local chefs, he said. In addition to its spices, the owners dedicated sections of the store to loose-leaf teas, sugars, peppers and salts, as well as speciality cooking supplies. The store’s products can be used for innovative recipes like meat rubs or curries, but they can also serve as toppers for snacks — like dipping Cheetos in the blended spices or decorating baked goods with the sugars, co-owner Teri Barton said. After a 35-year career in business administration, Dan Barton said he decided to postpone retirement to start his next chapter in a different area of entrepreneurship. Teri Barton — who has a background as a personal chef and graphic designer — covers the creative side of the business while he operates the financial side. Thinking about the store’s future, Barton said she hopes to host cooking demonstrations for goods such as pizza and barbecue seasoning using the original spice mixes. After six months of operation, the company will allow the Bartons to debut their own locally-themed spice mixes, such as a Northwestern blend or a Chicago Blackhawks blend, she added. Migrating from Connecticut where they raised their family, the Bartons said they chose Evanston as the site for the store because of its high level of foot traffic and lower rent prices compared to Chicago. Dan Barton said he hopes to draw even more traffic to the area with the potential renovation of Fountain Square. “We liked the fact that it’s a business climate that’s encouraging more smaller-retail folks to come in to avoid the big-box stores,” he said. Ald. Jane Grover (7th) said despite the established competition of The Spice House, 1941 Central St., The Spice & Tea Exchange is a valuable addition to the city because it offers a collection of loose-leaf teas.